Borealis, a leading provider of plastics solutions, has launched a world wide initiative to improve business acumen among employees using a financial awareness programme from ILX. Driven by, the initiative will help employees, particularly finance staff, to make more informed financial decisions to increase return on capital employed (ROCE), Borealis' business performance measure. Borealis estimates that using ILX e-learning to provide training to staff at any time, anywhere in the world will reduce training costs by 70 percent. "By using ILX financial awareness courses, staff will understand how their role and actions contribute to our ROCE objective and the financial benefit of the company," said Borealis CFO, Clive Watson. "ILX is providing Borealis managers with the knowledge they need to make better financial decisions day-by-day. It is clear that financial knowledge is critical to increasing competitiveness and business performance." "In ILX, we have found one of the world's leading experts in financial awareness development. ILX is a very specialised financial company and these people know what they are talking about," said Reginald van Peteghem, director of financial shared services, Borealis. "We saw many other e-learning companies but they didn't really understand our business issues like ILX does. 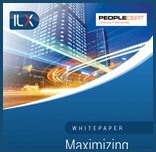 Also, ILX has a portfolio of products which needed little customisation to make them fit our business requirements." The Finance Faculty -- part of a wider Borealis Business Academy - comprises finance and e-learning expertise from ILX and Borealis in-house classroom training. Borealis financial managers will use FACT - ILX' web-based tool that enables organisations to identify individual knowledge gaps - to target training resources in the most effective way. These and other staff will also use ILX e-learning courses such as Cash Flow Challenge, a game-based programme that increases understanding of cash flow, Financial Fundamentals, Operational Analysis, and Strategic Analysis. Borealis plans for an initial group of around 300 financial and non-financial managers to use the ILX financial e-learning courses, although anyone in the organisation who needs the training can also use the courses. ILX has also helped Borealis by including Borealis terminology and incorporating the company's strategic ROCE objectives into the e-learning products. Each Borealis manager will be able to pick and choose the courses that best fit their identified development needs and, using the ILX e-learning portal, will be able to learn at their own pace. "Borealis joins a raft of multinational organisations that include Ciba Specialty Chemicals, Nestlé and Hilton, who now regard financial awareness development and training as an essential part of the business strategy. Increasingly, we are finding that initiatives such as the Borealis Finance Faculty are being sponsored by the CFO or indeed the CEO. It indicates organisations are realising that addressing the financial skills gap in business is no longer simply an HR training issue, it is now a strategic one and is essential to effective business performance." Borealis is a leading, innovative provider of plastics solutions based on polyethylene (PE) and polypropylene (PP). Its technology shapes daily life products and forms the basis of next generation innovation and creative development in plastics. Borealis is owned 50% by the Norwegian oil company, Statoil, and 50% by IOB Holdings, owned equally by OMV, the Austrian oil and natural gas group, and by the International Petroleum Investment Company (IPIC) of Abu Dhabi.